Robert Anderson (1805-71), Brigadier General, USA (KY). Fort Sumter. 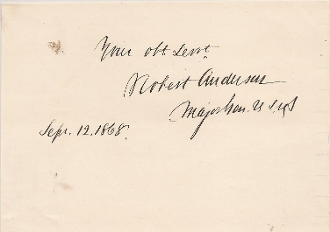 Clip autograph with sentiment and rank as Major Gen. U.S.A., Sept. 12 1868.